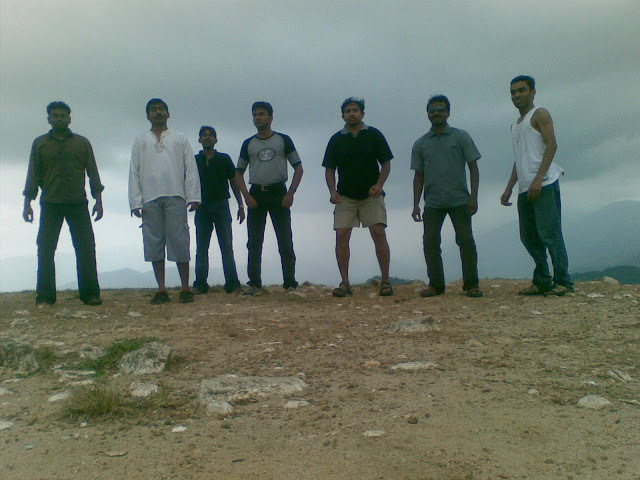 We were the oor suthal ( Street Pianters) gang of the IT firm where I started my career. Every week end we would take our bikes and travel to some part of Kerala. We have travelled to almost every part of Kerala together. 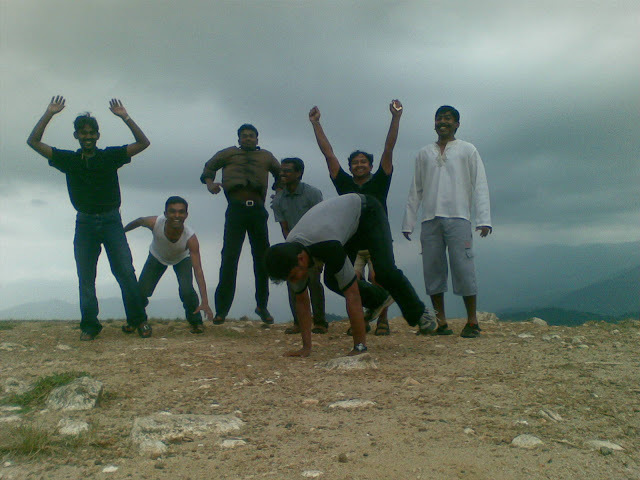 This picture is taken in Ponmudi during one of our weekend trips. 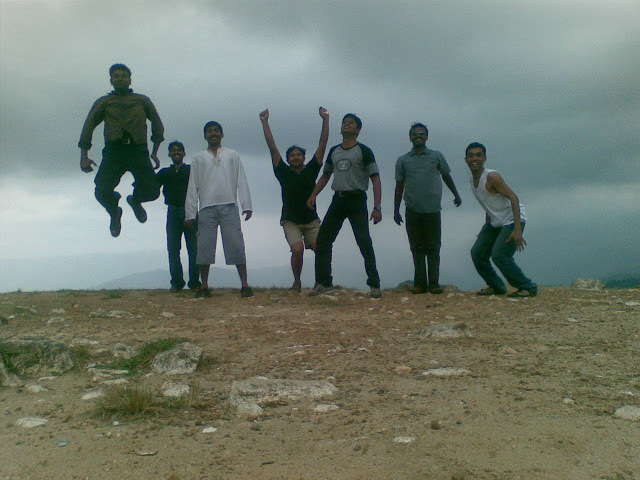 L- R: Rajesh, Selva, Jegan, Dhamu, Bekay, Jino and Yours truly. 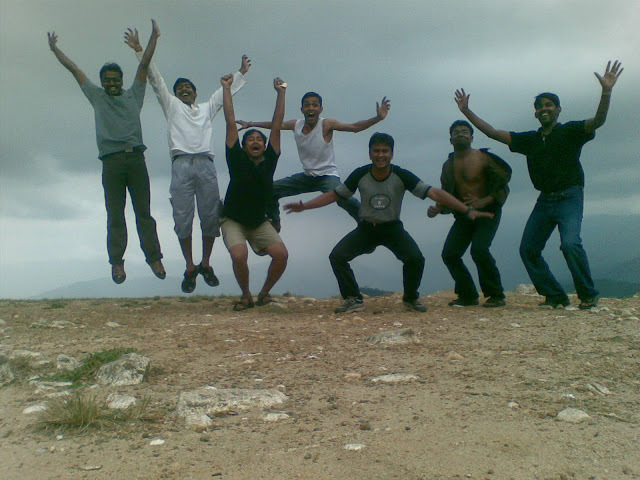 We decided to click the perfect sync jump picture. Remember this pic was taken in one of the primitive digi cams of the 20th century. Rajesh takes off like a missile before we all could launch from our launch pads. So the first try becomes a flop. We decide to change positions for our next try and we try again. We understood that not even two people in the group had done it together. 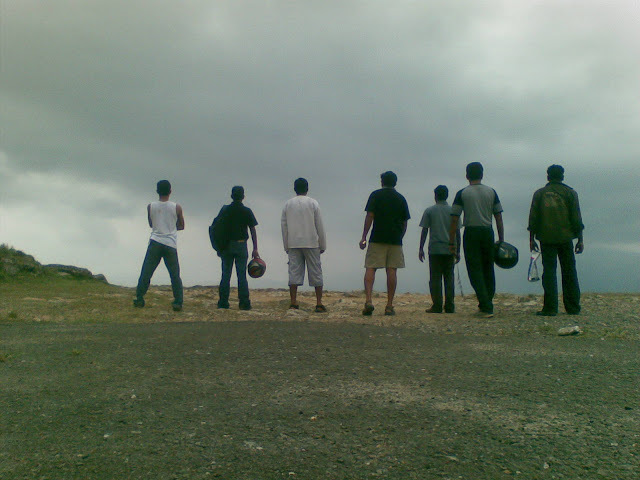 All 7 of us were doing different stuffs. Are we that pathetic? We did not want to give up. So here we go again. This one below is some what okay compared to the rest. But I have overdone it. During the course of the jumps, Rajesh's shirt has come off. Jegan on the other hand is seen doing almost the same stuff in all the photos. So finally we decide to do one thing that remotely gives a synchronized feel. Yes we show our backs.